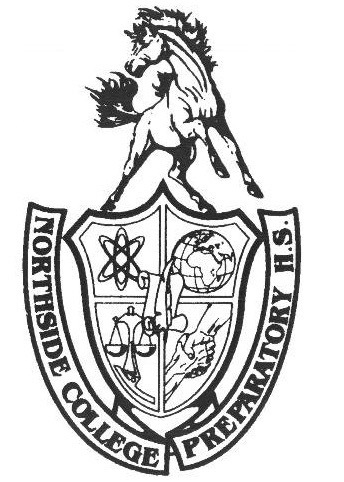 After an outstanding season by its varsity team in the conference play, the Northside women's basketball team celebrated Senior Day on Thursday, Feb. 8th with a game against Catalyst Maria Charter School. The team finished this year with a record of 17-18 and with a very impressive record of 8-1 in conference. They placed second in conference behind Lincoln Park by only one win. The expectations of the seniors on the team were very high this year, as they were confident that they would win the conference and they came close to doing so. The Senior Day for women’s basketball was based around the theme of “Add, Subtract, Divide, and Multiply.” Each one of these are one the album names for the team’s favorite artist, Ed Sheeran. This fit very well because there were four seniors on the team. The match began at 5:30 but was delayed by about 30 minutes because the opposing team showed up late. At one point, the girls were scared that they would have to scrimmage themselves for their Senior Day game. Catalyst Maria ended up arriving at around 6:15. The game started off slow, with neither team being able to score that much, but things started to heat up in the second quarter. Both captains of the team, Alina Yamin, Adv. 902 and Carleen Jones, Adv.807, started to score a lot, pushing Northside to a seven point lead. At the half, the score was 27-20. Players were cheered on by the enthusiastic crowd and the Northside cheerleading squad, who stood ready in uniform throughout the game to perform several chants. After halftime, the Mustangs started to break the game open. Thanks to the smothering defense of the Mustangs, Catalyst Maria could not score at all in the third quarter. Everyone contributed in the second half, which lead to a 51-34 victory. This win was a great way to end a great season, and for the seniors, their basketball careers at Northside. The women’s varsity team may have had an outstanding season, but sadly they will have to say goodbye to all of their seniors. Because of the success they have had this past season, the Senior Day victory was a fitting way for the seniors to go out.